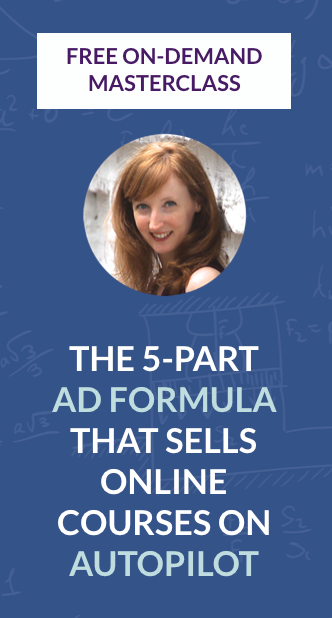 Your days of creating opt-in pages for your Facebook ads are OVER! No more struggling, tweaking, working your tired fingers off to increase your conversion rate. And you have Facebook’s new Lead Ads to thank. This post is the third in my free series on Landing Pages that Convert. 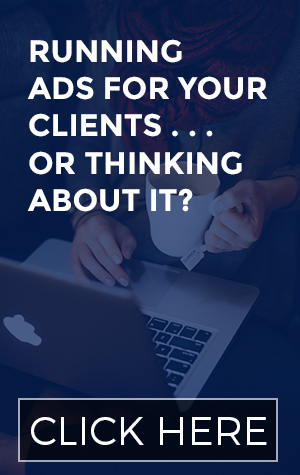 Just a heads-up: the links to LeadPages and StudioPress in this post are affiliate links. I’m a big fan of both, and I’d promote the heck out of them even if I weren’t an affiliate. Here comes a big sweeping statement: the design of your landing page is the most important piece in this whole conversion optimization thing. I don’t care if you have the most compelling free offer on the planet and copy so good it gets me to sell you my cat. If your design is bad, people will peace out faster than it takes for your bulky images to load on the page. In February I changed the way I accepted clients for my one-one-one Facebook ad training. Now you have to apply before you can book your session. Why? Because even the most experienced Facebook ads professional can’t make people convert on your landing page if the design is terrible. It’s a waste of your money to drive traffic to those pages and to hire someone to teach you to do it. But before you freak out, there’s a real difference between a straight-up horrible design and a landing page that needs a few tweaks to be optimized for conversions. When I spotted this line scribbled on the whiteboard at my husband’s office, my stomach flipped. I went from zero to nervous in a heartbeat. Was it simply a clever joke his team wanted to remember for an extra week? Or was his business in trouble? Here’s why I panicked: if anything you offer converts worse than Leonardo DiCaprio, you may not be in business very long. If anything you offer converts worse than Leonardo DiCaprio, you may not be in business very long. Poor Leo. In this case, “convert” means winning an Oscar. He’s been nominated 5 times (What’s Eating Gilbert Grape, The Aviator, Blood Diamond, and twice for The Wolf of Wall Street) but has never taken the stage to receive the statuette. This post is the second in my free series on Landing Pages that Convert. Click here to check out Part I: The One Thing that’s More Important than Traffic – everything in this post will make more sense if you start there. Just because your landing page has the word “FREE” on it doesn’t mean I’m necessarily going to bite. I’m on so many email lists now that my default answer is “no” when I’m faced with another opt-in form.